I started making this meatloaf 1 year ago in the middle of winter. 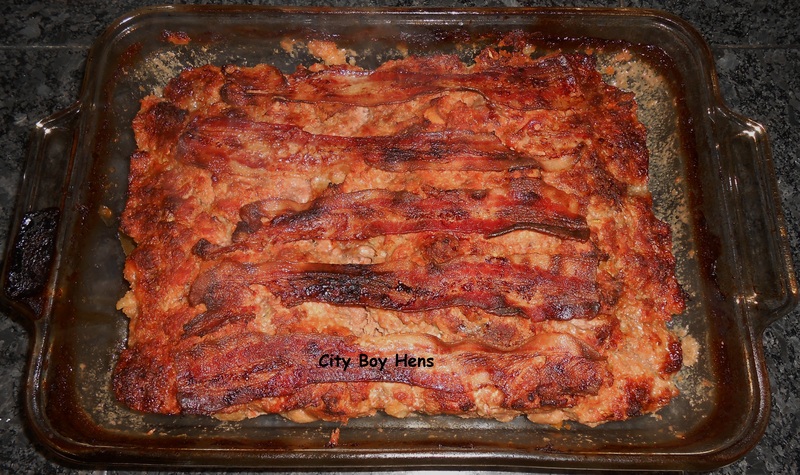 I can’t say that I have ever been a big fan of meatloaf before this recipe. They all just tasted like a big slice of a hamburger. Maybe I wasn’t eating the right meatloaf. 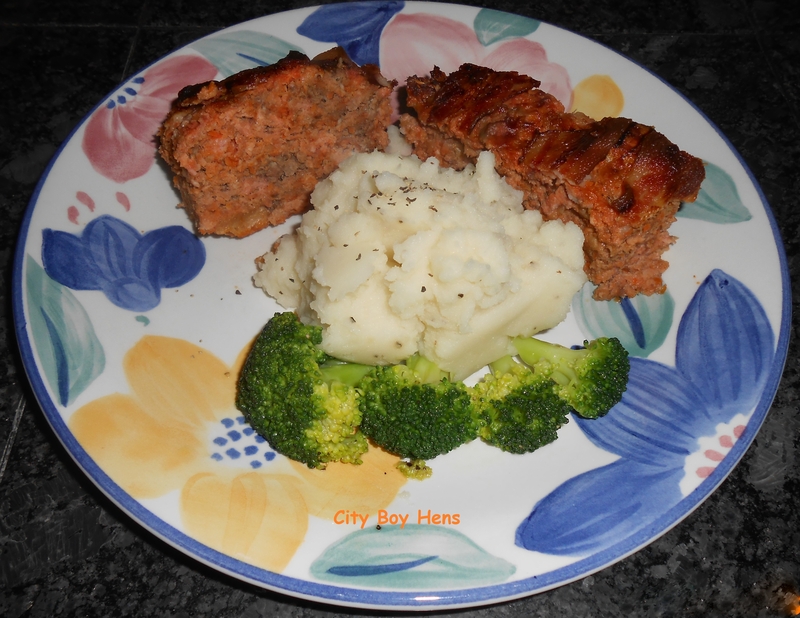 This recipe puts an Italian spin on the meatloaf with the oregano, romano cheese, and pestata. Bon Appetit! 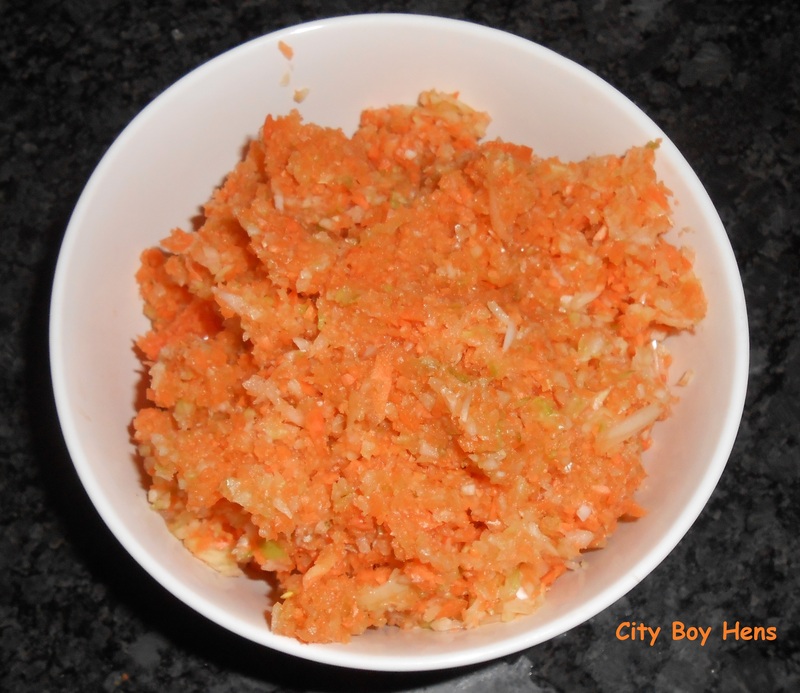 Combine carrots, celery and onion into a food processor until it turns into a fine texture. Cube up some leftover crusty Italian bread and soak in milk until soft. Poor out excess milk and squeeze bread cubes. 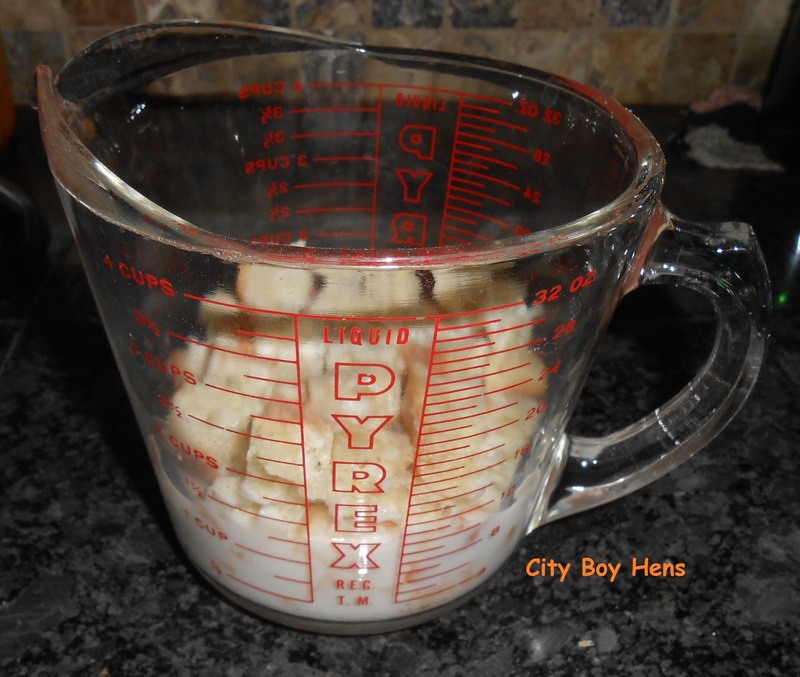 Combine all ingredients together in a large bowl and mix with your hands until everything is distributed evenly. 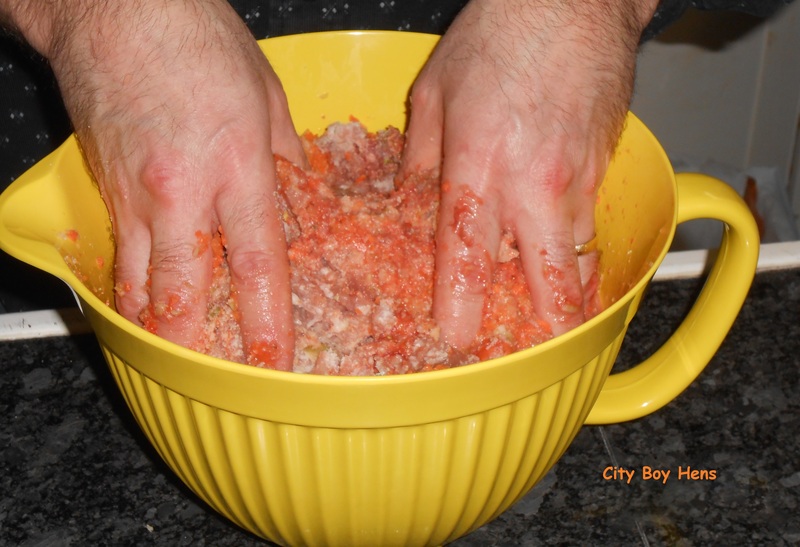 Oil your baking dish and form meat into dish. 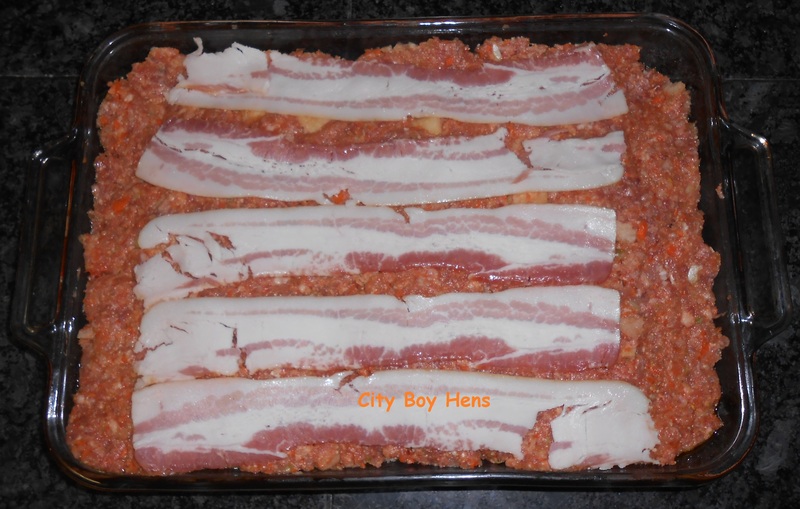 Add bacon strips if desired. Place in oven for 1 1/2 hours (internal temp. must read at least 165 degrees F. on an instant read thermometer). Carefully drain and let rest for 10 mins. before slicing. 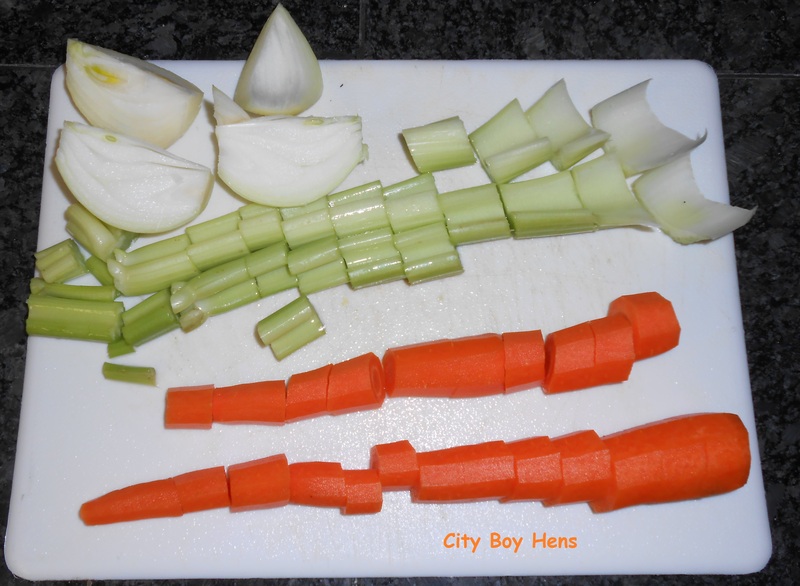 Take the vegetable scraps out to the chickens! We like a moist, pesto infused meathloaf with maybe some zucchini grated into it and always with some bacon strips over top. 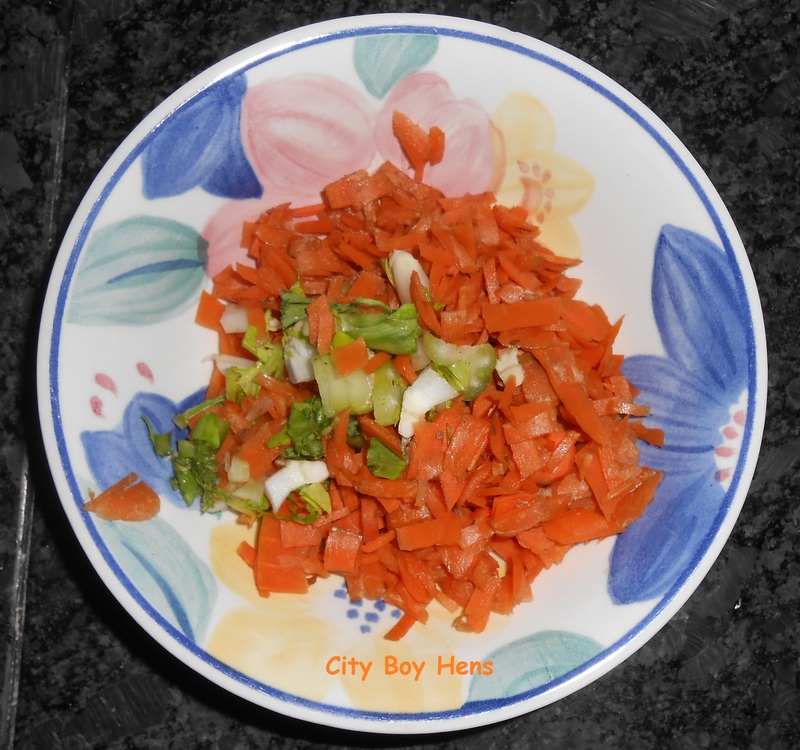 I really like the listing of ingredients on each of your other recipes so I can replicate these items at home. Can you post the ingredients list for your version of the fabled loaf. Where’s the pasta go? How much cheese? Thanks for all the big images with each of your instruction steps – looks good! Thanks for the heads up on the ingredients. They are now included! With regards to “pasta”, you may be confusing this with pestata which is used in this recipe ( tomato puree). Drop us a line and provide some feedback on your meatloaf.